Our annual silent retreat provides an opportunity to be quiet an feel God’s presence. 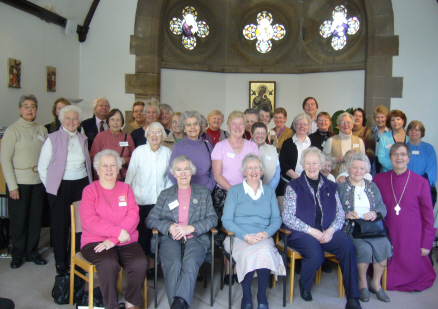 It is held at the welcoming and comfortable setting of St. Mary's Monastery, Kinnoull beside Perth. The retreat is run mid-week from Tuesday afternoon to Thursday lunchtime usually in March each year. The monastery is on the side of Kinoull Hill where there a extensive walks and beautiful views over Perth and the River Tay and the surrounding countryside. 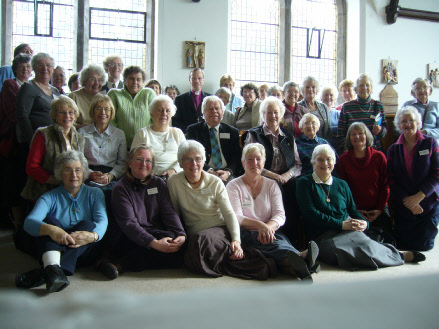 In March 2008 the Retreat leader was Right Revd. Richard Inwood the Mothers' Union central chaplain. The photo at the top of this page shows the members who attended with Richard (centre back below wall plaque). The previous year, Right Revd. Martin Shaw, Bishop of Argyll and the Isles (right front in the picture above) was our leader.